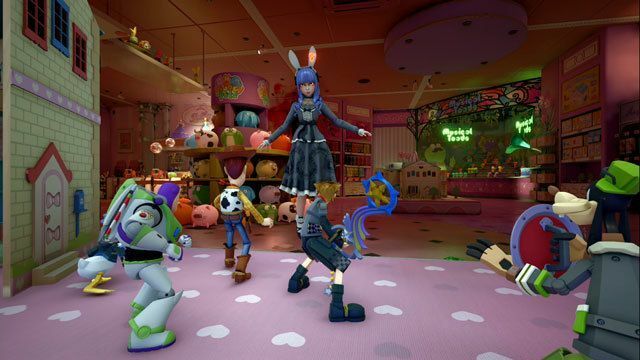 A complete walkthrough of the Toy Box in Kingdom Hearts 3, including ally characters, obtainable Keyblades, equipment, and abilities and where to find them. Once you’re inside the Giga, press R2 to fire at enemies, then press the circle button to perform a melee attack. You can punch approaching enemy Gigats rather than shoot them to deal more damage. It is recommended that you move left and right constantly to avoid enemy fire. Amber will generate shockwaves on the floor from time to time, so make sure to jump and glide to avoid being hit. She also performs melee attacks, so avoid them with a dodge roll before attacking. Once the UFO is low on health, it will fly around at a faster speed. 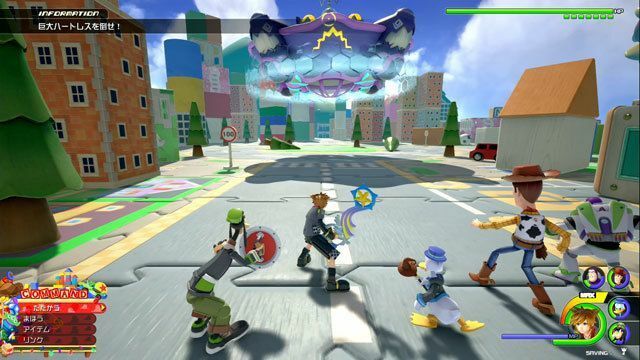 It will be harder to attack using a Keyblade. Ride a Giga and use its projectiles to hit the enemy UFO as well as its reinforcements. Its weak spot is its head, so aim for that more than anywhere else. 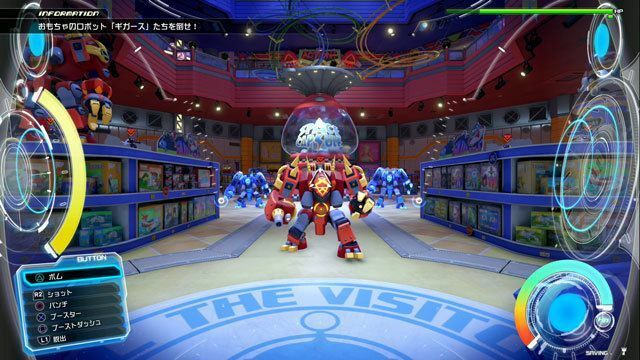 Lock on to the head of the boss then jump on top of the King of Toys using the blocks in the area. Attack its head using the Kingdom Key’s Formchange (Second Form) to deal damage efficiently. 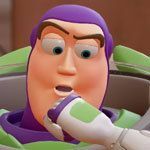 Sora’s adventure in the world of Toy Story focuses on solving the mystery behind the sudden disappearance of toys as well as the emergence of Heartless. 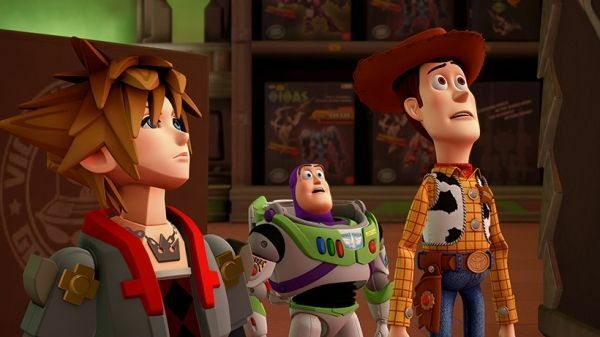 Sora and his friends will team up with Woody and Buzz on their mission from the Toy Box to the Toy Store. 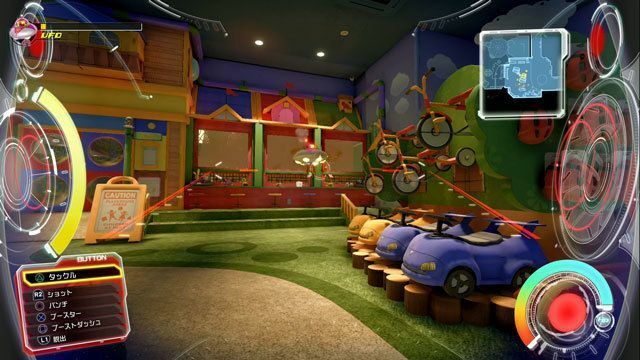 You can find out more about Kingdom Hearts’ Toy Box adventure here.